Don’t miss the Festival Launch of the Spring Season. Shad Fest 2017. April 29 & 30 in Lambertville NJ. Just a short drive from Frenchtown. Come out for fun, food and music! Call the Widow McCrea House B&B for room rates and availability. 908-996-4999. 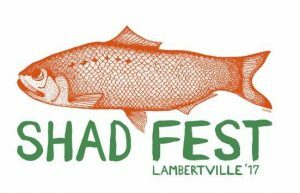 Ask about our Shad Fest discount package!